Observe: Look at the colors in your surroundings and the varieties in nature! Environment: Decorate your home or office with curtains, bedspreads, rugs, pillows, or paint. Create a color room with fabric. Get seven different color queen size sheets to use as drapes; layer them on one or more walls with draw string style curtain rod. change the color of your mood as quickly as you pull back the curtains. Color Lighting: Many large chain grocery stores carry colored light bulbs.Use in existing light fixtures; or try goose-neck lamps and direct the color. Color Bath: This luxurious method allows you to bathe your body in the energy wavelength of the chosen color. 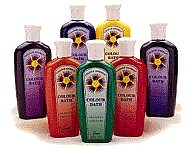 Colour Energy Corp. carries an organic product that colors the bath water completely and it does not stain your skin. Food & Drinks: Colors of the foods in our diet have their own physiological effect. 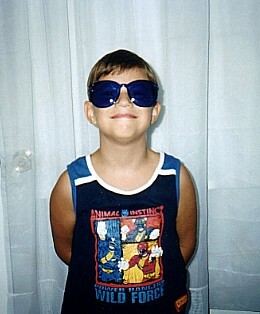 Color Sun Glasses: There is nothing quite like looking at the world through rose, green or blue colored glasses. This experience is very different from observing color. Clothing: What you wear effects your body/mind/emotions while also sending a message to those who see you. Gemstones: The stone will emanate the vibration of its color, but additional other defined characteristics are derived from innate properties of each particular gemstone. Essential Oils: Inhaled effects compliment the color. Lemon essential oil stimulates a bright cheery feeling to the mind and body as does its color yellow. Visualization & Breathing: Use creative visualization to picture colorful scenes for your desired effect. Then imagine with each breath, that you are breathing the color deep into your lungs and throughout your entire body. The Sun: To be healthy we require energy from the full color spectrum: the best way to do this is to go out into the sun!!!! Water is the giver of life and energy flows from color. Restore the balance...indulge yourself in a Colour Bath and take yourself to a new level of well-being. Each color of the spectrum of light vibrates at a different frequency thereby giving you its own special qualities and influence. Color has its own powerful language. Since our human development begins in a water environment (the womb and giver of life), imagine the strength and power when color and water are combined! Red, Orange and Yellow are "warm" stimulating colors which give us physical energy. Blue, Green, Indigo and Violet are "cold" calming colors. And for your further enjoyment we have added Pink and Turquoise. How Do I Use Colour Bath? First fill the tub with water and then add the Colur Bath of your choice. Enjoy a relaxing or stimulating bath experience. Can Children Use Colour Bath? Children love bathing in Colour Bath! In fact, blue is effective for restless and hyper-active children, while yellow stimulates mental abilities. Use violet to help strengthen artistic talent and creatvity. What Is Colour Bath Made Of? Colour Bath is a non-toxic combination of organic elements, water and glycerin. It contains no FD&C color, perfumes or oils. COLOR THERAPY EYEWEAR $15.00 each. Choose the color that appeals to you. 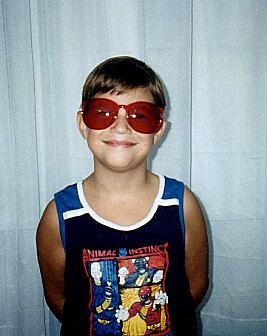 Wear the glasses for as long as they feel comfortable. When color energy falls upon the retina of the eye it is converted into electrical impulses, which stimulate the pituitary and pineal glands to release neurotransmitters that effect various parts of the body. To feel balanced, we require energy from the full color spectrum found in visible light. All of the gemstones have been carefully selected to match each energy centre(Chakra)-to bring physical, emotional, mental and spiritual well-being. This beautiful necklace of seven gemstones has a 28" adjustable leather cord allowing the necklace to be worn at various lengths including choker style. 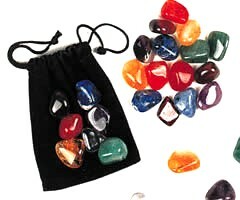 Each gemstone has its own distinct characteristics which complement and enhance any outfit. 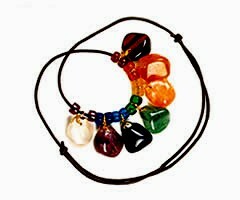 The Chakra necklace comes in a drawstring pouch. to Feng Shui a room. These Legion of Light Awareness Guides are esoterically written providing thorough information in a loving way. Shows the locations of the chakras on the body in their corresponding rainbow colors. Also provides the element, functions, glands and organs, gems and minerals, foods, emotional qualities, and negative qualities associated with each chakra. 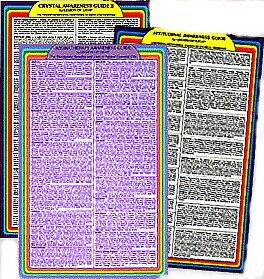 The back of the Guide offers excellent techniques for activating the chakras. Emotional/Attitudinal Causes of Physical Problems. Lists the main organs and parts of the physical body, suggesting their relationship to specific attitudes and emotions which can negatively affect them. Each of the 40 categories are filled with powerful and revealing insights. Lists 36 of the most popular essential oils, clearly describing their profound therapeutic benefits. Also included are specific instructions for using the oils for massage, baths, inhalation, aromatic diffusers, and for skin and hair care. Provides all necessary precautions for the safe use of the oils. Offers in-depth explanations on the healing and transformational properties of an 49 popular gems and minerals.